Award-winning, slow cooked, handcrafted caramels. Made with real food ingredients and packaged in beautiful recyclable containers. Flavor Family: A handcrafted collection of traditional and unexpected favorites. Something for everyone. 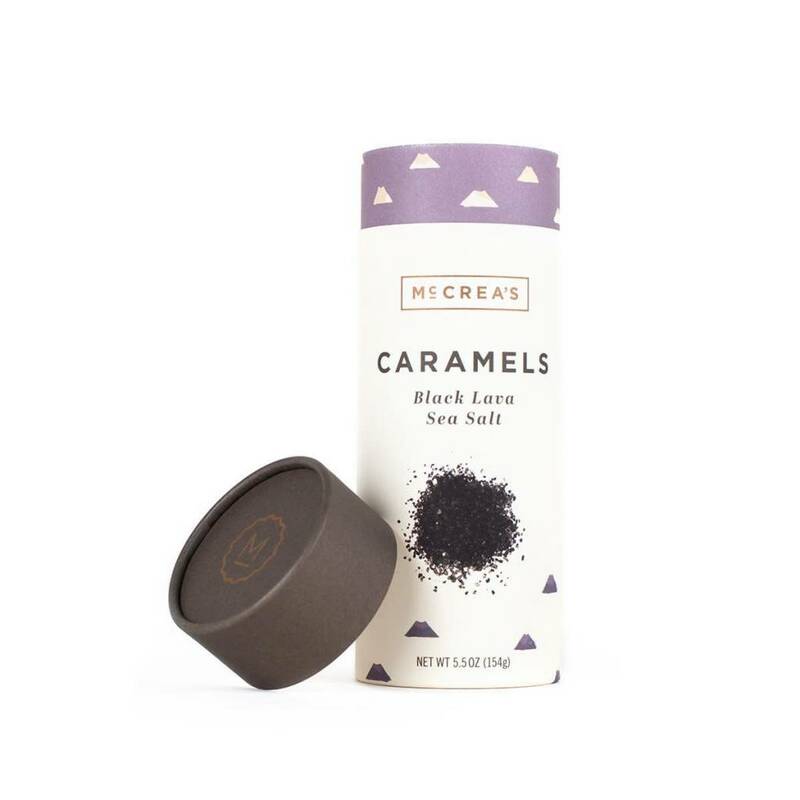 Dark Roasted Mocha, Ginger Fusion, Rosemary Truffle Sea Salt, Single Malt Scotch, Black Lava Sea Salt, Tapped Maple, Cape Cod Sea Salt, Classic Vanilla, Deep Chocolate. 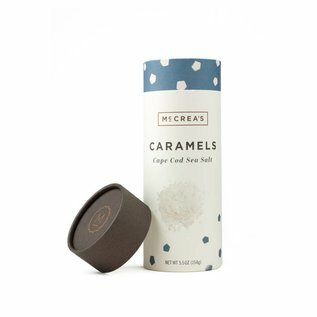 Black Lava Sea Salt: Rich, creamy caramel with crystals of Hawaiian black sea salt. A moment in paradise. INGREDIENTS: Fresh Milk, Fresh Cream, Cane Sugar, Inverted Cane Sugar, Tapioca Syrup, Butter (cream, salt), Molasses, Sea Salt (sea salt, activated charcoal), Vanilla Extract (alcohol 35%), Salt. "Call it a dream. Call it a living. Call it a lifestyle. Call it a project or a passion, a product, or an art. Call it all those things, and you’d be partly right. A scientist with a background in chemistry and an abiding appreciation for natural ingredients, Jason is a man possessed by the single, simple idea to make the best caramel in the world—nothing less. Jason is a bit quirky, downright odd sometimes. But you’ll love him because woven into his eccentricities are integrity, honesty and a firm commitment to quality. 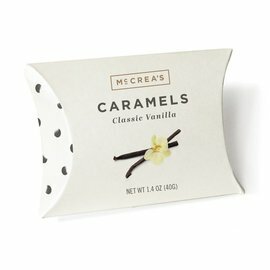 In the ways that matter, McCrea’s caramels are his best work. Naturally, Jason had help along the way. Quirky, yes, but with a fair portion of humility, Jason recognized long ago that there are many things that other people do better than he does, so he assembled a team of complementary talents. Kate McCrea, Chief Caramel Visionary, keeps the entire company sane and talking to each other, not to mention the outside world. And to be clear, Kate wasn’t recruited by Jason; Jason was recruited by Kate—she married him. Jim LaFond-Lewis, Operations, makes sure the caramel gets made, packaged and shipped, even though he bears a strong resemblance to a bald Oscar the Grouch. Matt Roche, Caramel Professional, sees the big picture and positions McCrea’s to serve people with humility and respect. Don't think Wonka. On any given day any one of them might be running the place, but one thing is certain: Everyone at McCrea's is dedicated to the same things as Jason—honesty, integrity and making the best caramel in the world."